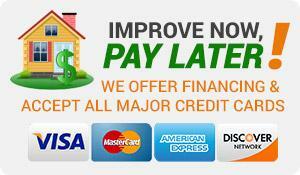 Welcome, and thank you for visiting DFW Best Roofing’s website. DFW Best Roofing is pleased to be the #1 residential & commercial roofing contractor in the DFW area. Through hard work and determination we continue to grow and achieve our goal of 100% customer satisfaction. We offer a complete range of services to residents of South Dakota. No job is too big or too small. Our highly-skilled professionals have been hand-picked from among the best in the industry and are trained to provide you with the solutions you need – as well as the quality you deserve. All you need to do is give us a call and we’ll take care of the rest. In the mean time, feel free to take a look around our site. Every roof is different, with ins-and-outs that require a variety of options for solving problems. There is no single answer but there IS our singular mission: to provide the most affordable roof upgrade and repair, installed with superior workmanship, using only proven, dependable products. We have now been in business for 10+ years as residential and commercial roofers in DFW Metroplex and still have roofs out there performing that we put on 10+ years ago. We are a small business that does little patch jobs all the way up to 78,000 sq ft+ roofs. We are big enough to tackle full roof installations but we are small enough to know our customers on a personal level and give them what they want and need. DFW Best Roofing is a local, two family-owned business. We have been operating throughout the DFW area since 2006. Our company is certified to provide quality construction and roofing work for your home. We have multiple certifications including a certification by GAF and CertainTeed. We also use products from other well-known brands including TAMKO and Malarkey. Our contractors are shingle master certified by CertainTeed, so you can feel confident knowing we are providing you with quality products and supreme craftsmanship. Give us a call today to learn more about how we can help you. We specialize in a variety of construction and home improvement upgrades to help you enhance the look of your home. Remove all valuables from your walls. Cover items in your attic and garage as a certain amount of debris will fall during the process. Pull all valuables away from the exterior of your home/deck to prevent debris from damaging it. Although the crews are very careful about the tear off process, please cover or remove any potted plants or lawn furniture. Park your vehicles in the street the night before work is to be done. Keep all children and animals in a safe area away from the construction. If you do not have an exterior outlet please leave an extension cord plugged in, as the crew may need to plug in power tools. Save a wrapper from a bundle of shingles to register your manufacturer warranty. It is your responsibility to register your shingle warranty online. The package will have the necessary information. Be sure to give your project manager any special instructions in writing. DFW Best Roofing offers a wide variety of commercial roofing services including, consultation and scoping services, damage assessment, repair, maintenance services and full commercial roof replacement to mention a few. Through innovation and dedication to detail, Interstate Roofing continues to be on the cutting edge of all technologies in the commercial roofing industry. In order to serve you best, the client, we offer a wide range of products including; Polyvinyl Chloride (PVC), Thermoplastic Polyolefin (TPO), Ethylene Propylene Diene Monomer (EPDM), Modified Bitumen, and Metal roofing products. Further more we have partnered with major manufacturers and hold accreditations with GAF, Genflex, and Mulhide. Before making a decision on your next project, call us, and from initial planning through completion our expert team will educate and guide you through the process. 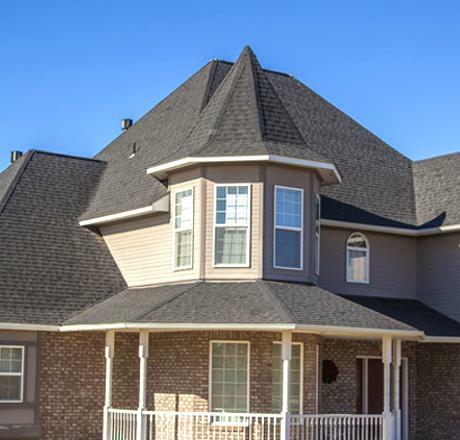 We work with you to design and install a roof system that fits your needs.